This looks to me like some serious 'corner cutting' and it looks tacky and un-professional. First thing I think is "why is the vent so far offset from the range hood in the first place? What's more disconcerting is that this is a highly visible, cosmetic detail. 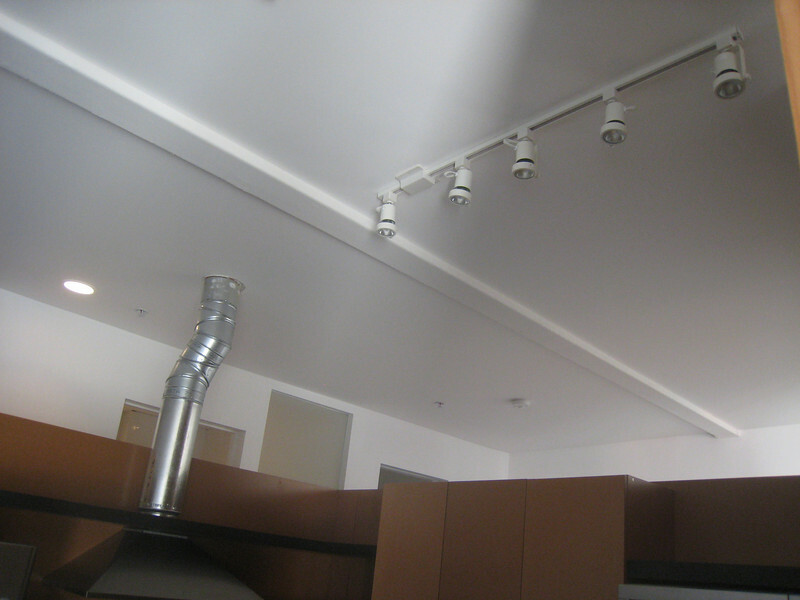 They chose to use stock, low grade galvanized ducting elbows, and no flange to hide the imperfect edges of the hole cut into the ceiling. I immediately start to wonder where they cut corners where it does really matter.